For swimmers that feeling of euphoria and sheer relaxation after a race or a hard training set, is all too familiar. It’s what keeps us coming back for more. The release of endorphins has been proven to help those suffering from depression. In animal experiments the impact measured has been more favourable than the use of anti-depressants, like Prozac. 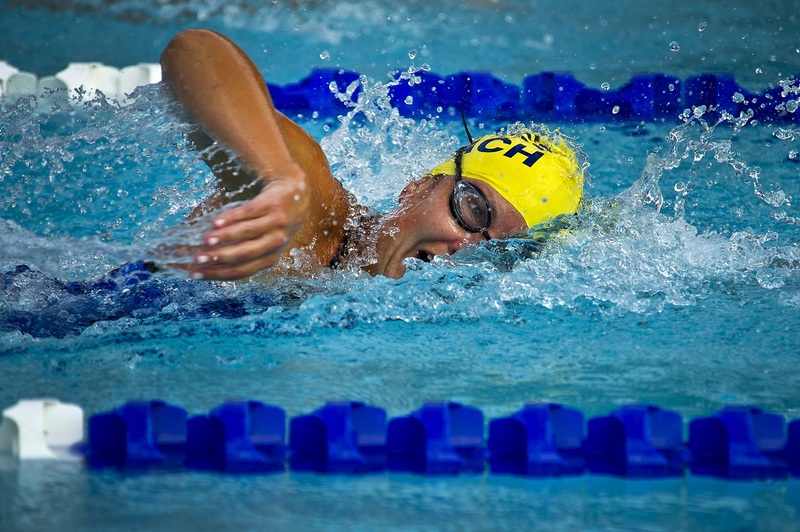 Some sports psychologists, such as Aimee C. Kimball, advocate swimming as a form of treatment in addition to other methods. The feeling or relaxation is caused by the physical activity that aids the body to remove excess stress hormones, like adrenalin and cortisol, released during ‘fight or flight’ mode. This process converts into muscle relaxation. Swimming a challenging set can also lead to “hippocampal neurogenesis.” This is the growth of new brain cells in a part of the brain where these cells are destroyed by chronic stress and depression. With the creation of new brain cells, swimmers can also develop the ability to learn more and improve memory. So, we can quite confidently deduce that swimming also improves your intelligence. Another physical benefit, not commonly known, is the effect the precision of each stroke has on a swimmer’s nerve fibres in the corpus callosum. This is the part of the brain which allows communication between both sides. With the communication improvements between the two sides of the brain, cognitive ability is improved. Studies have shown that children who learn to swim early are more likely to reach developmental milestones faster, than those who only swim later in life. This is because learning is made easier. A study conducted in 2014 showed a 14 percent increase in blood flow. With the increase in blood flow your mood is not only boosted, but this sharpens your focus allowing swimmers to perform better academically. So, the lingering aroma of chemicals, prevalence of bad hair days and training pain of swimming not only yields the physical pays off, but keeps you mentally fit (and happy) too.